We were ecstatic when Megan + Henry approached us to be a part of their elopement in Mexico. 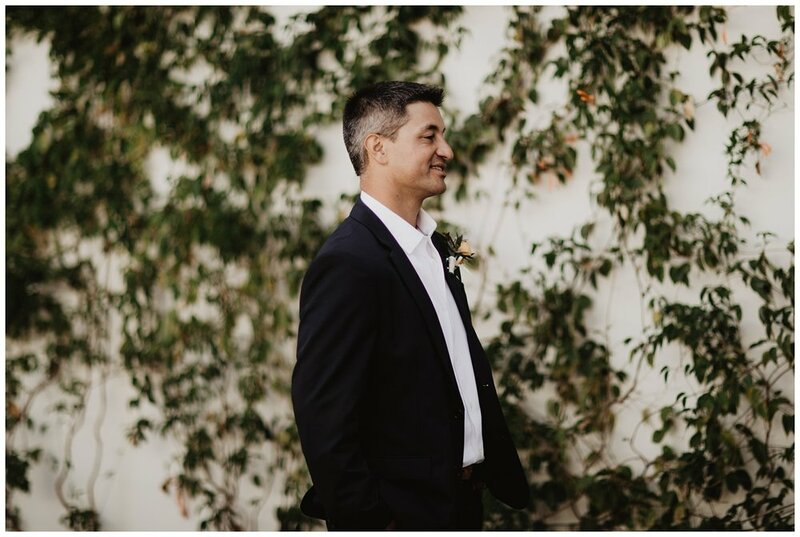 We, along with forty of their closest friends and family, headed to Todos Santos, Baja California in May to capture their wedding at the stunning Hotel San Cristobal. 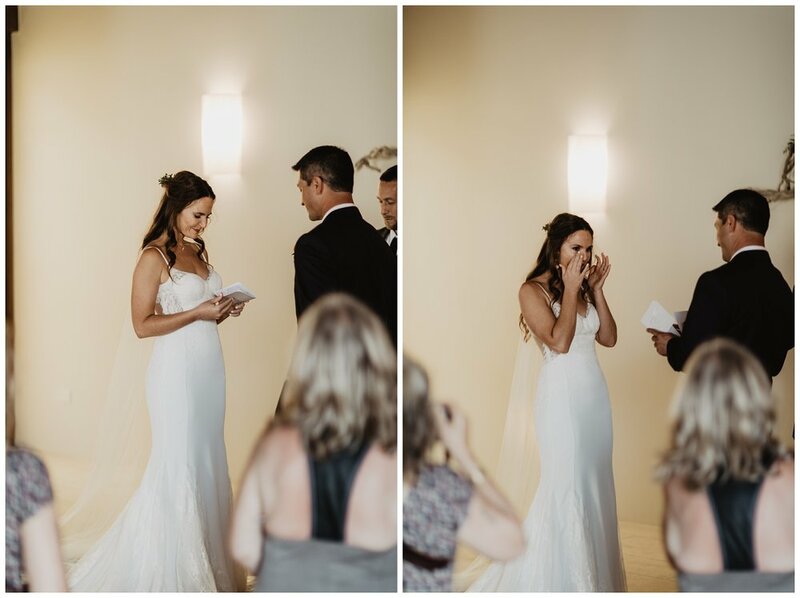 Their wedding celebration was what we lovingly came to identify as "baja chic" - tropical, bright colors, and bohemian decor. Palo Santo (one of my FAVORITE smells of all time) burned throughout the property, which just added to the romance. The reception was truly a fiesta with craft cocktails and authentic Mexican cuisine. The location for Megan + Henry's elopement was absolutely breath-taking. Hotel San Cristobal offers a private beach setting along steely gray cliffs hung over deep blue water. In the surrounding area, bright green succulents and palms contrast the muted desert landscape everywhere we looked. 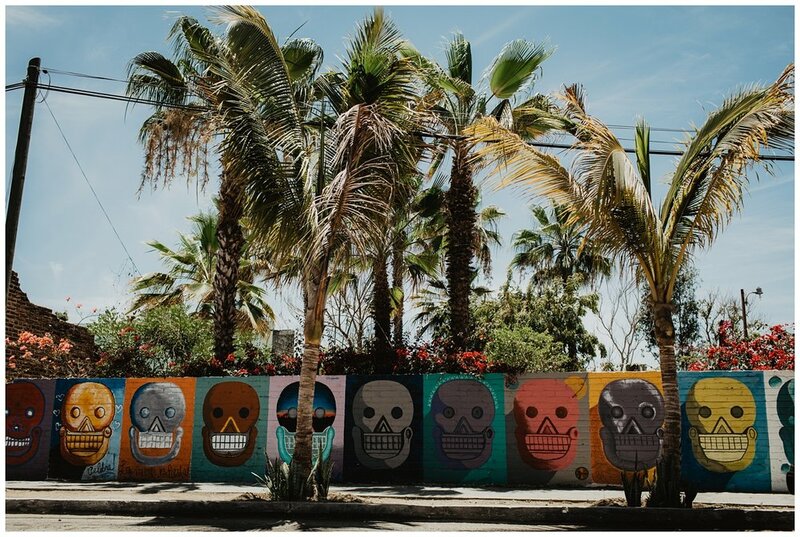 In the town of Todos Santos, the brightly colored architecture and old European feel was like Havana meets Cinque Terre. Matt and I have visited many, many cities in Mexico, and this one could easily top the list for us. It's that good.